Hey guys! This week I’m reviewing Captain America: Winter Soldier, one of my all-time favorite movies. I have never trusted and loved a pair of directors more than I do the Russo brothers. This movie was absolutely outstanding. It could be debated that it was better than the first movie. The fact that the Russo brothers completely understand that it is a lie that every movie needs to have a romantic lead to be a good movie is refreshing and fantastic. How every character was written was amazing, but I feel like Natasha/Black Widow’s was the best. She’s an existing character, but we didn’t really get a lot of her personality from the Avengers movie and Iron Man 2, and the fact that they were able to give her a great and real personality but also still be what she was before is amazing. She’s absolutely terrifying as Black Widow, calling to soldiers saying “Hey sailor” and looking like she’s going to eat them alive is truly just Black Widow. Natasha is one of Steve’s close friends, she’s playful, she has a great sort of dry humor, and even though she has a dark past, it does not make her personality gloomy and negative. There is a difference between Black Widow and Natasha and Captain America: Winter Soldier illustrates that greatly. Sam Wilson couldn’t be any better, honestly. He is an amazing character, being a bit funnier than the others but not becoming just a comic relief character. He’s very sweet to Steve and Natasha, especially when they showed up at his doorstep – just having dealt with a confrontation/action scene with the Winter Soldier – and he just let them right in. He’s mischievous but not overly so, he’s very caring for his community, and he has so much courage and heart, he’s a very lovable character. I would personally love to see him take on the role of Captain America, but Chris Evans is doing such an amazing job, I certainly don’t want to see him leave soon. Steve Rogers is one of my favorite characters and in the Captain America sequel we learn more about him – his mother died while Bucky and Steve were fairly young, that he makes friends insanely easy, that he’s still trying to catch up on seventy years, and that he isn’t dependent on being Captain America. We also learn that he is a good person but not a rule-following robot. He understood that what S.H.I.E.L.D. was doing was wrong, that ‘this isn’t freedom, this is fear.’ This is the Steve Rogers I absolutely love. Steve is just an amazing person, and out of all the male characters I can think of he is one of the most well-rounded. I’m so glad that we got to see him in the world of 2014 and to see him work through all of it very well. Steve is incredibly smart too. Remember when he broke into the ‘Captain America Museum’ and stole his old uniform? That wasn’t just suppose to be a cool moment – even though it was. Steve was using his old uniform to trigger Bucky Barnes’ old memories. He knew that they had guns, and yet he still wore this uniform that made him completely vulnerable – but he did it to trigger Bucky’s memories. He risked his life just to get to Bucky. We see in this movie, not unlike in the first movie, that he is so very smart and cares so very much. Bucky is obviously Steve’s absolute best friend, and Steve is risking his life for him – just so he can get Bucky back. Bucky Barnes is so very valuable to Steve Rogers. Bucky was probably the kid that was there for him when other kids bullied him, he was there for him when both his parents died, he was there for him in the war. Bucky isn’t just Captain America’s side kick, he’s Steve Rogers’ best friend, and could even be called his brother. When Steve says, while Bucky is beating the life out of him, ‘I’m with you til the end of the line’ Bucky’s impulse to protect him is so much stronger than the command wired in his brain to kill him. I’m definitely glad that we got to see Bucky Barnes so much and so prominently in this movie. Yes, he is the protagonist of this movie so of course we’ll see him enough, but I was worried that we wouldn’t get to see Bucky and that’d we just see the Winter Soldier. What Bucky went through is absolutely horrible, and one of the first things that happened was that he was brainwashed – so when people say that he is the villain of this movie it’s technically incorrect. He is a victim playing the villain. None of what Bucky does in this movie is of his own free will, except for saving Steve at the end of the movie. Hydra has completely brainwashed Bucky to do what they want. He has been repeatedly frozen and refrozen for the past seventy years, and almost every time they wipe him and wire in commands to kill more people. If he was doing all of this by himself, if he was trying to kill Steve Rogers and countless others in his past consciously, then you could call him a villain. But he did not, so he is the victim of this story. I can only hope we see him in the next movie and see some of the process to getting him back to Bucky Barnes. This was such a great movie, and I am so so glad that the Russo brothers will be directing the next movie and taking over the Infinity Wars. I am absolutely positive that Captain America: Civil War will be absolutely outstanding. 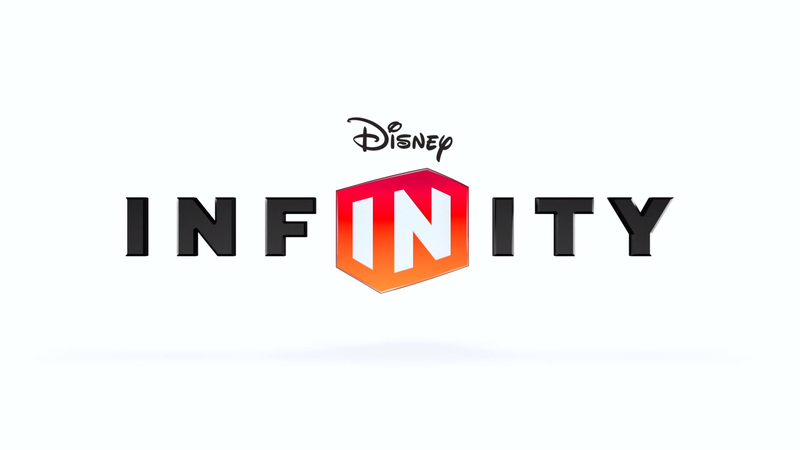 Ever since Disney Infinity came out in 2013 I found myself interested in the game since I am a big Disney fan as is my whole family. I am an avid gamer and a collector of many things, including toys, so the combo of the two with a property I enjoy seemed a no-brainer. I just never got around to buying the game. To say I enjoy the game is an understatement. It has become quite the hobby for myself and my family. We all enjoy it immensely and wish we had gotten into it sooner. The game itself includes two main modes…Adventure and Toy Box. Adventure contains your basic gameplay of beating up the bad guys, collecting things, achievements, etc…It is very basic and made for a general audience, but is still fun for a casual gaming session. The best mode though is Toy Box. You build your own world through unlocking features in the game itself and the purchase of power disc booster packs ($4.99 for two randomly packed discs). The possibilities for customization seem endless. They have all the Disney themed stuff you can think of with the addition of the world of Marvel with Disney Infinity 2.0. Combining the two worlds can be quite fun. Captain America riding a surfboard with Stitch on the front through it’s a Small World is one of the truly simple pleasures in life. There are also tons of mini games to play and keep you interested for many hours. I enjoy the multiplayer aspects of this game since it has proven to be fun for not just myself, but my wife and daughter as well. It is really a big thrill when my wife gets excited to buy a video game. I hope in the future they will add the Star wars universe to Infinity since Disney owns that huge property as well. Chewbacca fighting with Thor against Captain Hook would be a blast. This is a game/toy that is perfect if you have a family that likes to join in your gaming sessions and you are looking for something simple and just plain fun. Hey guys! I apologize for not posting here for what seems like forever, I’ve been a bit busy, and right as I was writing a new post, I came down with a cold. But hopefully I can come back full time. As I said before, I was going to review Captain America: Winter Soldier. I’ve decided against that, considering Agent Carter has just aired a week ago and has been the center of my attention. I won’t say I was sure that Agent Carter was going to be amazing, that it was going to do Peggy justice, that she wouldn’t be made into just another “strong female character” who had more than two lines and said things like “Man up,” and “You hit like a girl”. I was fairly nervous at first, but I was overjoyed to find out that I had underestimated Marvel’s writing team. Agent Carter is absolutely amazing, and her fighting skills are a dead giveaway that if they had given her the Super Soldier Serum, she would have taken down Hydra in two days. Her fighting techniques are completely brutal. She does not fight like Natasha/Black Widow does, which is more acrobatic, graceful and, in a way, more feminine. Peggy absolutely dominates her opponents and obstacles she faces, throwing them out windows, stabbing them in the hand against a truck, knocking them out with a stapler, pointing a gun at a man and threatening both their lives, and most importantly, threatens to kill them for being misogynistic. And not just the new show put that in light, in the first Captain America movie, she punched the first man to question his authority and charged into the final battle against the Red Skull, guns blazing. She even almost shot Steve when he made out with a random woman. She is brutal, and she is unapologetic about it, which I absolutely adore. Peggy has been absolutely amazing, and if she was a man, she would be everyone’s favorite character. She’s shown weakness but has not become sniveling, she’s very human and I’m so glad to see that. I am so glad that she has her own show. I was fairly upset that Black Widow was not getting a movie, and Agent Carter is a good way to fix what they cannot fix with a relatively progressive show. (We certainly do need to set our standards highers though, we needs shows like this but in a modern setting. The 40’s were a long time ago, but we need shows that present the complicity of sexist acts nowadays, and women overcoming them.) I definitely want to see more female agents working with her, being just as great. It would really say something, but I understand that it could be hard to write. The writing of the characters on this show is absolutely fantastic. All characters have caught my attention, and this last episode, showing the blonde woman being removed from the Griffith, I wanted to know more about her. Even the antagonists are interesting. The cinematography is beautiful, and the clothing/set design couldn’t be any more perfect than it already is. It looks more like the 40’s than the actually 40’s looked like. Marvel always lives up to the standards they’ve set with their past movies, and they just keep getting better and better. Agent Carter has definitely reassured me that the shows coming out on Netflix are going to be fantastic. I can only hope Agent Carter either stays amazing or gets better. Hey guys! Sorry for not making any posts for so long! There was a lot I wanted to talk about, and I just kept forgetting. This review is for the Avengers! I hope you all like it. The beginning is really quite interesting. It establishes that this movie is about space and magic and the Chitauri without being over the top with it. The Tesseract is an odd thing, considering it is the power of the universe in a little cube, but I feel that with Phase One’s establishment of the Tesseract, it makes it not as out of the blue as it could have been. You really don’t have to see the other movies to love the Avengers though, and that’s something I love about it. Loki’s character development seems really quite intense to me. I do understand that he just let himself fall into the abyss of space and how that could certainly be mentally damaging, but Loki is all tricks in Thor, and he seemed so much more in the mindset of ‘kill kill kill’ in this movie. Now, after brainwashing the agents in the laboratory and having Clint shoot Nick Fury, Loki trips. This entire beginning of the movie, he’s sweating, and his eyes are sunken in throughout the entire movie- much like Clint’s when he’s been taken over. Loki appears to have a case of heat exhaustion (The symptoms of heat exhaustion are confusion, dizziness, fainting, fatigue, headache, muscle cramps, nausea, pale skin, profuse sweating, and sunken, dark eyes from dehydration). This could mean that maybe Thanos has partial control over Loki- how much he’s changed from Thor could allude to that too -, and/or that he tortured Loki (assuming that you can torture a Frost Giant with heat). This is all speculation, but I think it’s one of the best ideas that’s come out of the Avengers fandom. The only issue I have with Steve Rogers/Captain America in this movie, is how he was written. He came off as too much of a comic relief character. Steve Rogers is incredibly smart, so I don’t understand how he couldn’t understand what Tony was talking about. I can see him saying ‘slow down’ or something of the sorts, but at times he came off as just an old man, and Steve Rogers honestly is not an old man- all jokes I make aside. This was the movie that made me fall in love with the character, but after Captain America: The Winter Soldier, it made me reconsider how he was written in his second movie appearance. I love Mark Ruffalo as Bruce Banner/The Hulk. I think he was much better than Edward Norton, in appearance, how he was written, and how he played it. How Bruce Banner was written was really quite perfect. Him being in Calcutta, a place that’s incredibly loud and crowded and disease-filled, makes much more sense when you really think about it. Bruce is a scientist, he’s incredibly smart and most likely knows how to treat many of these diseases, he’s very caring and patient, – as we see when he runs across town with the little girl just to have Natasha tell him that S.H.I.E.L.D needs him – and he’s very calm. Calcutta would be the best place for him to feel like he’s actually helping, instead of what he most likely thinks; being a ticking time bomb, waiting to explode and destroy everything. Tony Stark/Iron Man was fantastic. There isn’t much to say about him though. He’s obviously become more giving and compassionate, as we see from him being in a relationship with Pepper Potts and the sacrifice of his own life at the end, and I appreciate that. I also really love Pepper Potts. I think their relationship fit in really well with the movie. I don’t think it overwhelmed either of the characters. Pepper Potts was still Pepper Potts, Tony’s partner, but not just Tony’s partner. I really don’t have anything to say about Thor. I liked his new design, but I certainly do feel like his character development came in Thor: The Dark World. I’m really happy with how they wrote Black Widow/Natasha Romanoff in this movie. The original members from the comics in the Avengers were Ant-Man, Wasp, Iron Man, Captain America, and Thor, so making her character exist in Iron Man 2 was a good choice, like Hawkeye in Thor. Having the character be a part of that world instead of just being thrown into the Avengers is obviously quite smart. She was built upon so well in the Avengers, she was really her own character, not just there for men’s eyes or to be the only female lead. The only time she was a ‘vulnerable female lead’ was when Hulk was raging in the helicarrier, and even then she really wasn’t made into a stereotypical female like it usually would with different companies and their movies. She had a psychologically understandable fear with the Hulk. It wasn’t an ‘oh please help me male lead’ sort of moment- it was a human moment. Her abilities include manipulation, agility, melee combat, and range combat. You cannot shoot, punch, kick, manipulate, or even in some cases get away from the Hulk. The Hulk is a monster. And Natasha isn’t. She may be a superspy, able to control her emotions, but that doesn’t mean she doesn’t have them. I really do want her to have her own movie, and I feel like it could be a real game changer for female heroines. Maria Hill, Phil Coulson, and Nick Fury were all incredible. Nick Fury having a bigger role in the Avengers was the obvious choice, considering he’s the director of S.H.I.E.L.D, and how he was written was fantastic. Having Samuel L. Jackson’s usual exasperated, sailor-mouthed character he usually plays show through was perfect for Nick Fury. While Maria Hill had a more minor role, I still loved her. There’s not much to say about her, just going off the first movie she appeared in. And Phil Coulson was incredible. I think his character was perfect, and I loved him almost immediately. His quiet, yet kind and professional way of speaking is nice, and the fact that he’s a huge closet fanboy is great too. Steve Rogers and Phil Coulson’s relationship is especially cute to me. Phil’s nervousness around Steve, his childhood (and probably adulthood) hero, and Steve’s professional and/or nonchalant sort of demeanor towards him. With the fact that Coulson also had mint condition collectors cards of Captain America, (not anymore thanks to Nick Fury) it’s obvious that Coulson really does admire Steve. I feel like in the sequel they could really build off of this relationship. I love the fight scenes and Loki’s second fight scene was cool and interesting. Steve Rogers and Tony Stark’s relationship is really quite interesting to me. In 2006 through 2007 Marvel released a comic series, and to put it very shortly, the U.S. government issues the Superhero Registration Act in which Tony is on board with it, revealing that he is Iron Man, but Steve isn’t. The extreme opposing opinions causes Tony and Steve to fight, making just about every other superhero choose a side, and causing a Civil War. We all know that there is a fifty-fifty chance of them going to the Civil War route in the movies, and I feel like the writers did a great job having conflict between Tony and Steve without getting controversial. Although I will say, that Steve could have come with much better comebacks than he did throughout most of the movie. Steve and Clint are the wittiest and sassiest of the Avengers. I enjoy Thor and Tony Stark’s relationship. It’s sort of like a sibling relationship, and I’m excited for it if they build on that in the sequel. How they met was really rad too. Bruce Banner and Natasha Romanoff’s relationship is really interesting to me, because Natasha is obviously afraid of the Hulk, but she respects Bruce and isn’t afraid of him. I feel that Bruce is overall afraid of hurting people, but that he still is fond towards Natasha. I’d love to see what their relationship might evolve into. I enjoy Natasha Romanoff and Clint Barton’s relationship the most, because they are completely equals. They quite obviously care for each other, and if one of them was hurt or if they were killed, the other would most likely kill eighty people in two days. That’s one of the reasons why I want a Black Widow movie so much. I feel like we could learn a lot about their past relationship without forcing unnecessary romance into the film. I think the Avengers was the smartest thing for Marvel to do, and they executed it almost perfectly. It has a great blend of comedy, sci-fi, and action. The fight sequences were really quite good, especially the ending one. With Clint and Natasha fighting like this happens all the time, Steve leading the policemen to guide the civilians away, Thor and Hulk bringing down the bigger guys, and with Tony’s sacrifice, I feel like it shows them working all together perfectly and shows their roles in the team amazingly. This was honestly a great movie. Natasha and Tony saved the day, and I love that. Tony sacrificed himself for an uncountable amount of people, including his loved ones, and Natasha sealed the portal so that it would actually work. And while Tony’s sacrifice is definitely important and shouldn’t be swept aside, neither should Natasha’s intelligence and bravery. Next week, I’ll be talking about all thirteen of the Doctors from Doctor Who. Have a Marvelous weekend! Hey guys! This week, I’ll be reviewing Captain America: The First Avenger. I love Captain America: The First Avenger. While my favorite comic book character is Spider-Man/Peter Parker, this is my favorite film adaption of any character. I like Johann Schmidt, I appreciate the motive without pity. The ruthlessness of his character is intriguing, and how Hugo Weaving played the Red Skull was fantastic, although I think it would have been much more interesting to make the Red Skull look more burned and scarred, but I understand that there is a fine line between intimidating and frightening. I don’t just love Captain America, I love Steve Rogers. In the comic books, his mother and father, Sarah and Joseph, are two poor Irish immigrants, moved to New York, in the Lower East Side of Manhattan. Joseph died when Steve was only a child, and Sarah died of pneumonia while Steve was a teenager. 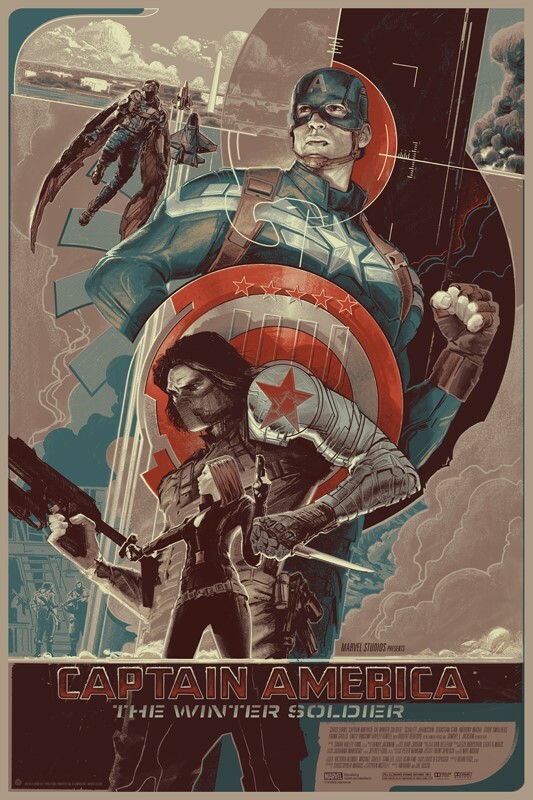 Before America’s entry into World War II, Rogers is a small scrawny fine arts student, specializing in illustration, and is also a comic book artist and writer. I love that they did acknowledge his art career in the movie, if briefly. I also enjoy the brief mention of his parents, it’s enough to give him back story without delving into it. When he transforms into Captain America, I enjoy that he’s still intelligent. He doesn’t just become a big hunk of muscle. My opinion on the man in the movie theater, the one that beat Steve up, was actually pretty interesting. How he was used in places throughout the entire film was pretty cool. I also find the woman crying in the theater to be much more meaningful than it was meant to be. I just love James Buchanan ‘Bucky’ Barnes. In the original comics, he’s only just a little kid, but then he was revived as The Winter Soldier and was obviously much older. I like how in the movies he’s an adult, because a kid fighting in the war is pretty obscure. How he’s cocky but has a heart of gold is what me makes love him so much. How Bucky is there for Steve when he’s getting beaten up, and how he looks over to him to see if he’s still there during the Stark Expo, you can really see that Bucky, at times, was Steve’s caretaker. Steve Rogers had asthma, heart troubles, palpitations (an abnormality of heartbeat characterized by simultaneous awareness of one’s pulse and discomfort), sinusitis, and at one time Scarlet Fever and Rheumatic Fever. With both his parents gone, it would only make sense for Bucky, Steve’s best friend, to have taken care of Steve in the past. You can tell that they love each other too. And take it however you want, but they do love each other. My feelings on Doctor Arnim Zola is that he’s even more interesting than the Red Skull. While they merely sort of allude to him having a more detailed back story, I appreciate that. Margaret “Peggy” Carter was fantastic. She was a strong woman, who didn’t need anyone to support her. She wasn’t just a love interest for Steve, she was her own character, and I adore that. As always with Marvel films, the CGI was outstanding. The Costume Department and Prop Department outdid themselves, too. It seemed like they time traveled back to the 40’s, it looks so amazing. And I really respect Marvel for not making their movies so extremely dark. Just because adults are watching the movie, it doesn’t mean it has to have death around every corner. Captain America, in my opinion, means that even though you can always change and grow, you’re always gonna be who you truly are. Next week, I’ll be reviewing Thor. Have a Marvelous weekend.